I guess I’m as guilty as anyone: I’ve written a few things about the Wright Brothers over the years and, most memorably, about the North Carolina Surfmen who helped them make their historic flights at Kitty Hawk. But, for all that, I’ve missed the man who did more than any other to make their place in history possible, and became the template for those who’ve put every pilot and passenger safely into the air since. No, not Otto Lilienthal or Lawrence Hargrave. Not Sir George Cayley (and his long-suffering coachman). Not even Octave Chanute or Samuel Langley… Because even though the Wrights were innovators in research, method, linen and spruce, the key to their success was – as it always is – their mechanic. 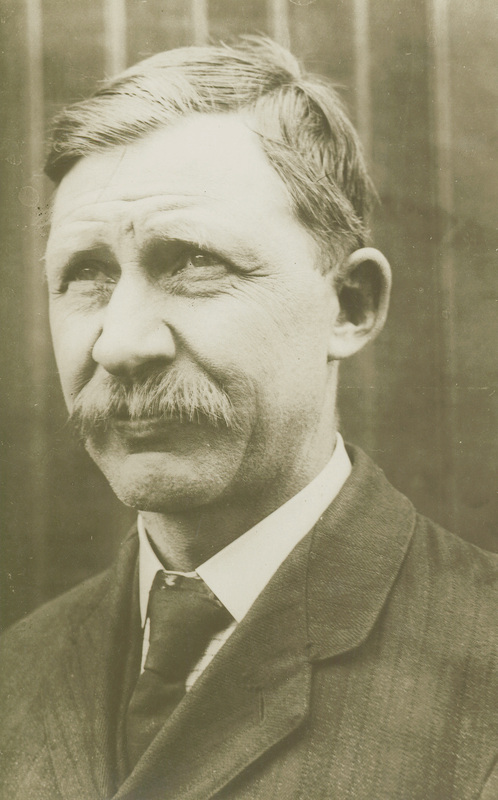 Charles Edward Taylor (May 24th, 1869 – January 30th, 1955) the template for all aviation mechanics. Of course, if you already know about Charlie Taylor you can take this moment to enjoy a quiet, congratulatory fist-pump and move on. But if not, gather round. At 12, Charlie started running errands for the Nebraska State Journal where his natural mechanical abilities soon surfaced and he served an apprenticeship in the Journal’s bindery. After moving to Kearney, NE, in his twenties, Charlie courted and wed Heretia Webbert from Dayton, Ohio. 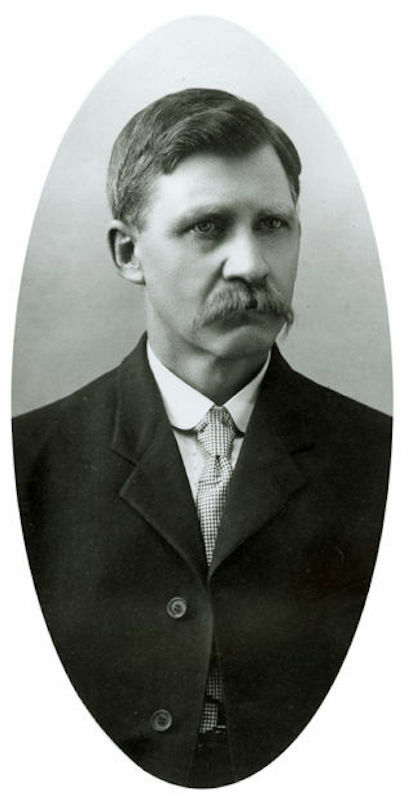 Then, in 1896, the couple moved to Dayton with their young son to be closer to Heretia’s family and and improve Charlie employment opportunities. It worked – he was employed by Stoddard Manufacture of Dayton, a company that made farming equipment but was also capitalising on the 1890s bicycle craze. 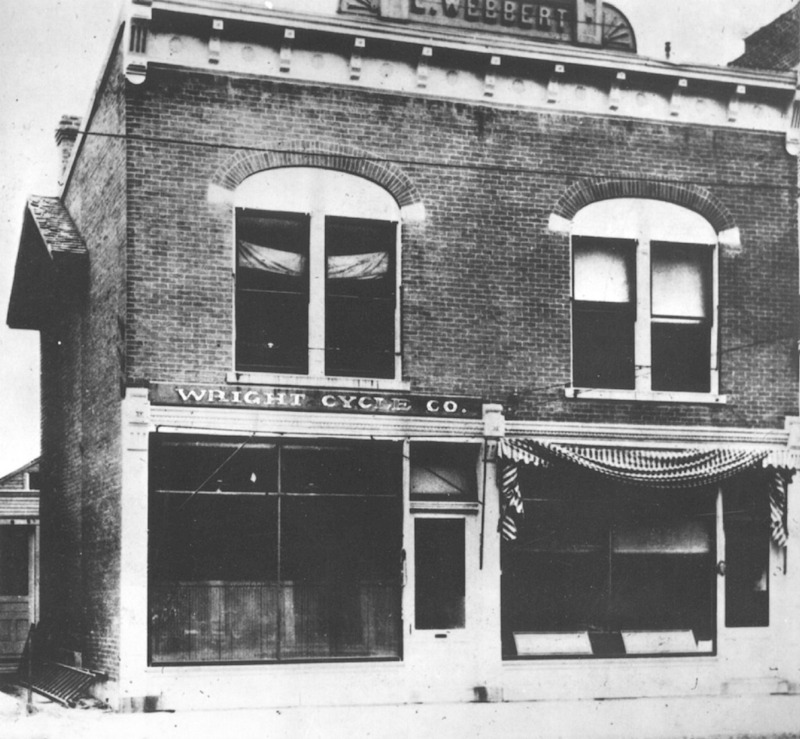 Meanwhile, Heretia’s uncle had rented a building he owned, on West Third Street, to a pair of brothers who were also in the bicycle business – Bishop Milton Wright’s sons Wilbur and Orville. The young men were all about the same age and soon became friends. Charlie had opened his own machining shop and the Wrights would bring Taylor jobs that needed his special skills and equipment. Almost inevitably, the trio ended up working together. Charlie had sold his shop and taken a job he didn’t like at Dayton Electric Co for $10 a week. So when the Wrights offered him $8 more to work with them in June 1901, he jumped. By 1901, as you can imagine, Charlie was about to take a pivotal role in the Wright Brothers’ aeronautical experiments. Along with day-to-day bicycle repairs, he also looked after the business during their trips to Kitty Hawk. 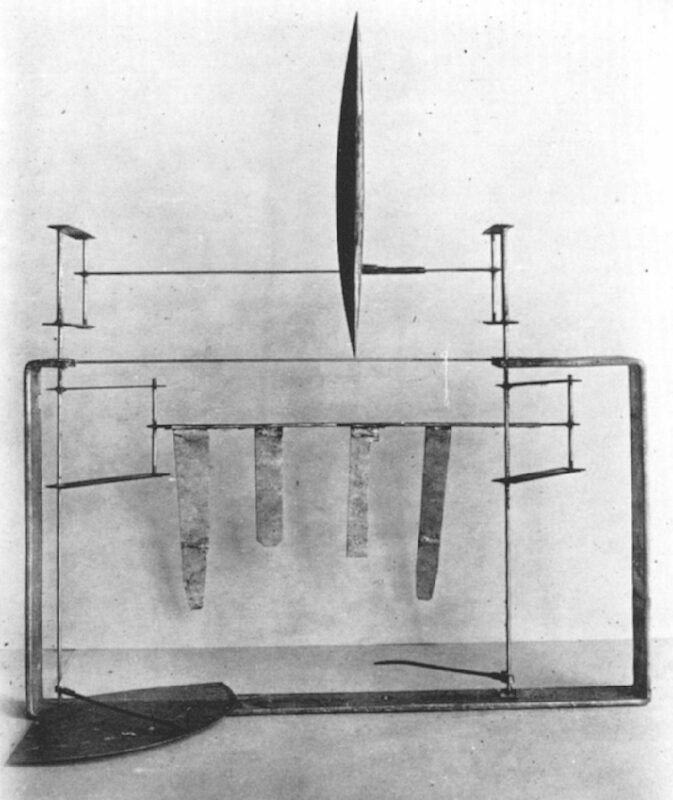 After a disappointing summer there in 1901, the Wrights had Charlie build them a wind tunnel so they could better analyse the behaviour of different airfoils under varying conditions. 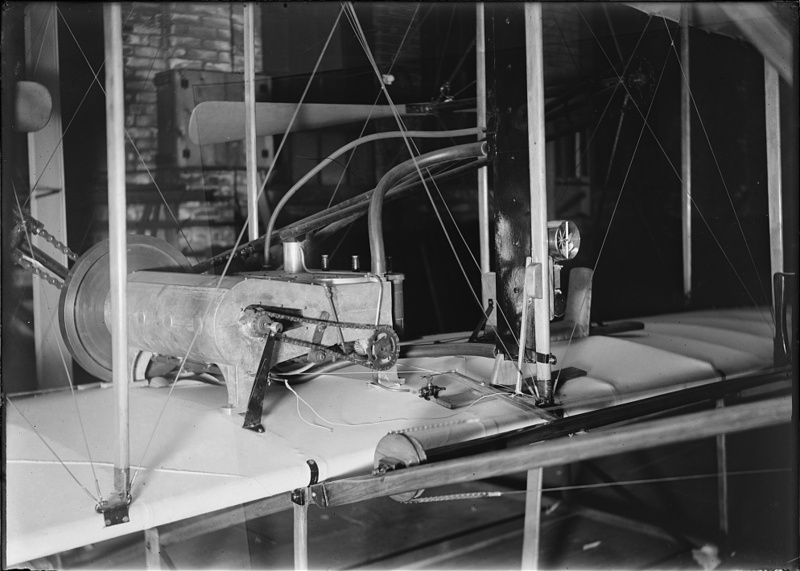 The wind tunnel results opened the way forward for Wilbur and Orville to build their 1902 glider – the craft in which they learned to fly. And Charlie Taylor made fittings for that as well. By the time they came home on October 31st, 1902, the Wright Brothers knew they were ready to build and fly a powered machine. They soon calculated that they’d need an 8 horsepower motor to drive their 550 pound (250 kg) design through the air. Allowing for the weight of the machine itself and a pilot meant this motor would need to weigh less than 180 pounds (81.5 kg). Famously, they wrote to several automobile motor makers to try and get such an engine made – without success. So they turned, once again, to Charlie Taylor. 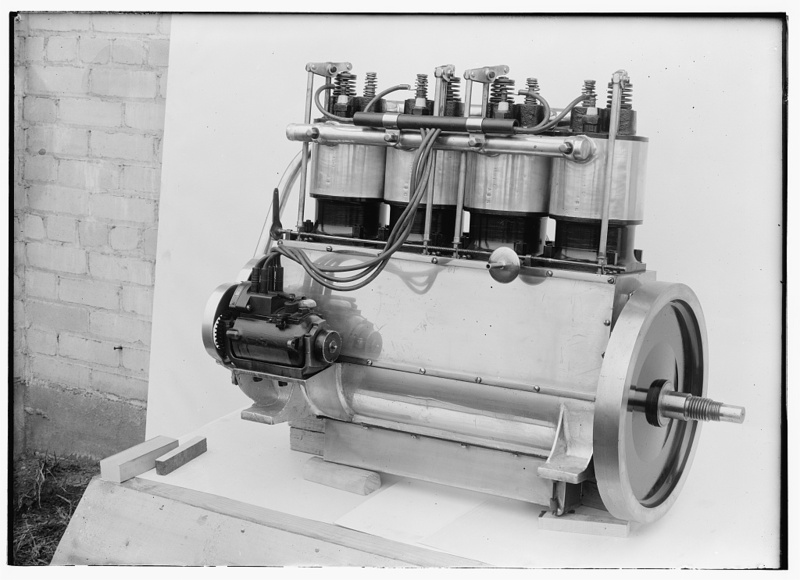 The Wrights had worked out that a four cylinder motor with 4-inch bore and 4-inch stroke could provide the power they needed and still weigh less than 200 pounds ‘wet’. They explained what they wanted to Charlie and asked if he could make it. Although he’d never made a motor before, Taylor could easily understand the machining tasks that would be needed and got to work. The two brothers and Taylor would work out each component on paper, talk it through, and then hang the final sketch over Charlie’s workbench for him copy. He was finished in just six weeks. The crankcase was forged from an alloy of 92% Aluminium and 8% Copper by the Buckeye Iron and Brass Foundry in Dayton. Charlie Taylor cleaned it up, then turned and bored the four cylinders himself from fine-grained cast iron. Next he took a plate of carbon tool steel 1-5/8 inches (41.275 mm) thick by 31 inches (787.4 mm) long and marked out his crankshaft on it. Using only hand tools, a drill press and a lathe, he painstakingly chain-drilled around the pattern, knocked out the part, and shaped it on the lathe to an accuracy of 0.001 inches (0.025 mm). He then turned the heavy fly wheel from a block of cast iron. 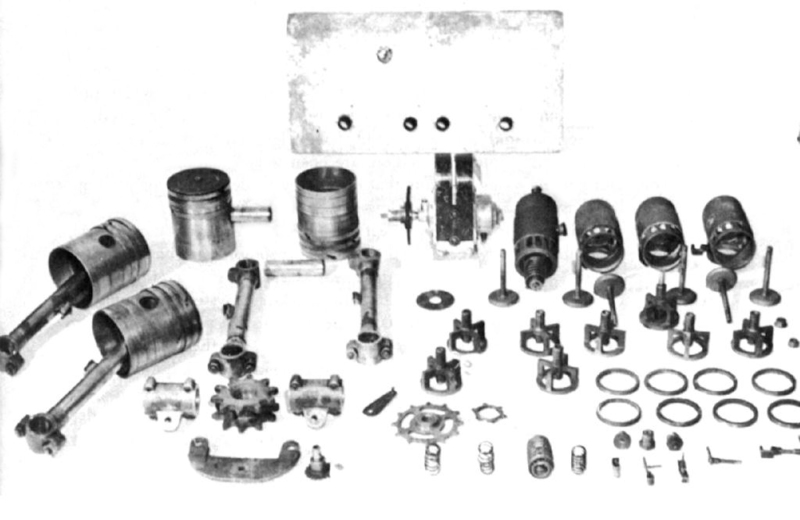 The remaining small metal parts – pistons, valves, connecting rods, etc – were each figured out, fit together and formed one by one. 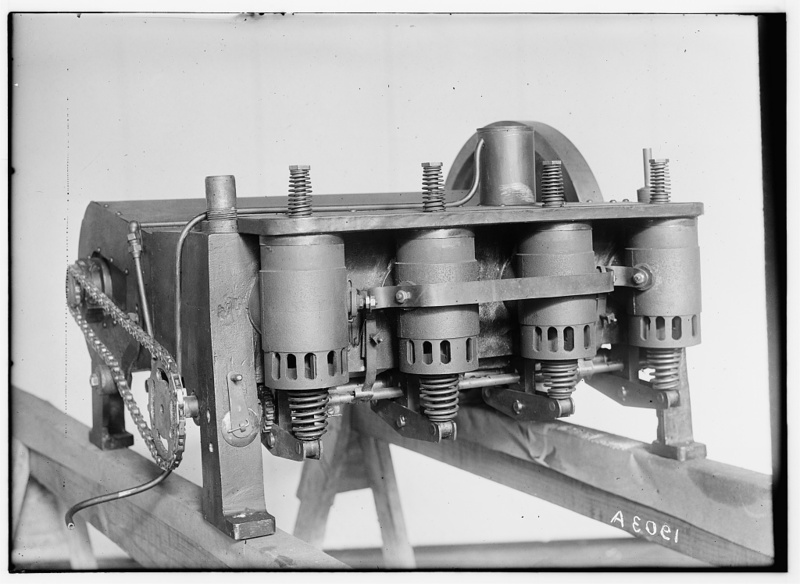 After countless test-fittings and trial assemblies, the world’s first aero engine was ready to run in February 1903. It was run briefly, un-lubricated, and delivered its 8 HP (5.97kW) at just 670 rpm. Further engine runs turned out an initial burst of up to 16 HP (11.93 kW) at 1,200 rpm and a steady 12 HP (8.95 kW) at 1,020 rpm. Best of all, it weighed only 170 pounds (77.3 kg). It was a triumph. 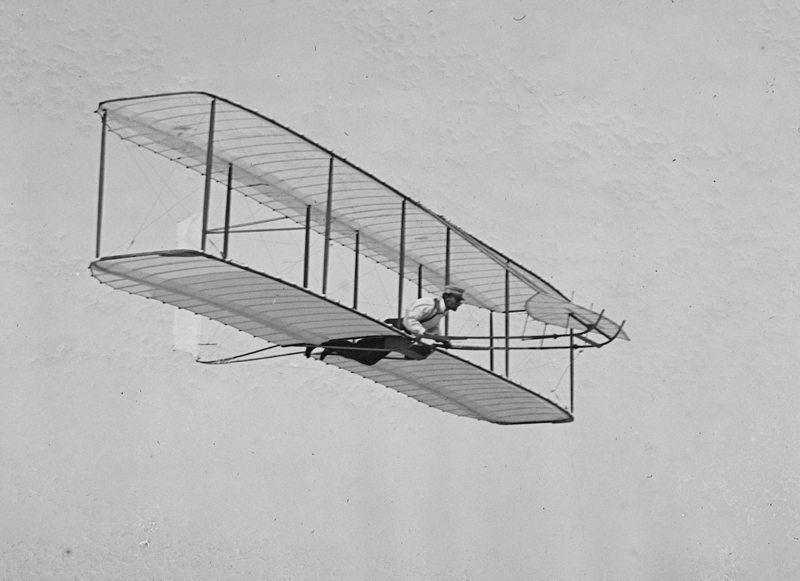 Taylor’s achievement gave the delighted Wright Brothers the confidence to add a critical 150 extra pounds (68 kg) to their Flyer, for extra strength and safety. When Orville and Wilbur went to North Carolina on September 23rd, 1903, Charlie stayed behind and minded the shop. When the tubular propeller shafts developed a fault in November, they were sent back to Charlie for repair. They were back on the Flyer on November 20th. The first winter storms kept the Wright Brothers inside their camp buildings that week, but while test running the engine on November 28th, one of the troublesome propeller shafts cracked. This time Orville went back to Dayton, where Charlie had made new shafts of solid tool steel. 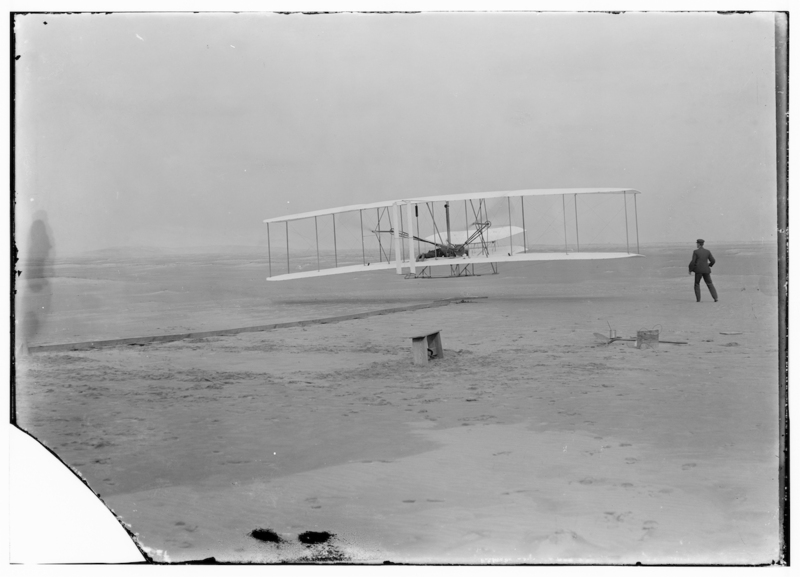 Orville took them back to Kitty Hawk and had them fitted to the machine late on Saturday, December 11th. 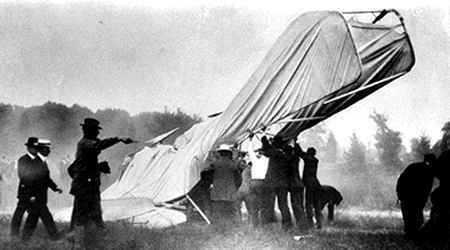 After Wilbur’s failed take-off on Monday the 14th, Orville tried successfully on the windy 17th. Then, taking turns, the Wrights proceeded to make history in their (if you’ll allow me) ‘Wright-Taylor Flyer’. 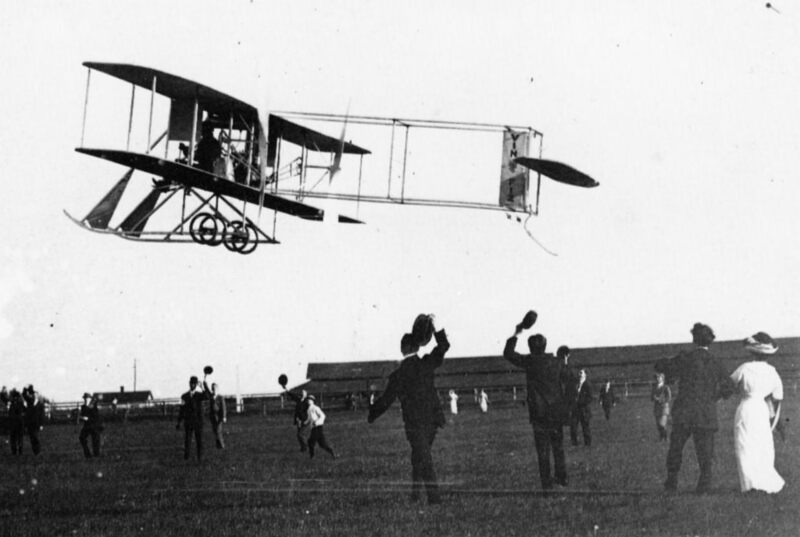 Next spring, the Wright Brothers continued their experiments much closer to Dayton, in a large field on the outskirts of town. They had free use of ‘Huffman Prairie’ (now part of the Dayton Aviation Heritage National Historical Park next to Wright-Patterson AFB), on which they built launch equipment and a hangar to store their new ‘Flyer II’ and the 1905 ‘Flyer III’ . As the Wrights moved steadily into the aviation business, Charlie Taylor continued to ’mind the store’ while also serving as their engine builder, master mechanic and ground crew. While they experimented, he built a series of steadily improved aircraft engines, culminating in the 36 HP (27 kW) Wright 4-40 or ‘Vertical 4’ that would power the Flyer III and over 100 subsequent Wright Company machines. 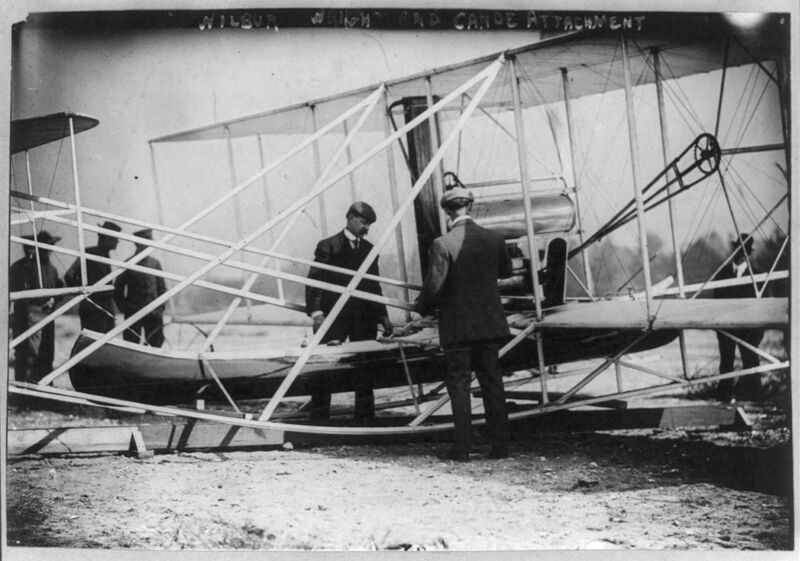 When the US Army expressed interest in the Wrights’ invention, Orville went to Fort Myer, Virginia with the 1905 Flyer III, modified to carry a pilot and passenger and designated the Military Flyer. As always, Charlie went along to keep the aircraft and its motor in good order for Orville’s demonstrations. 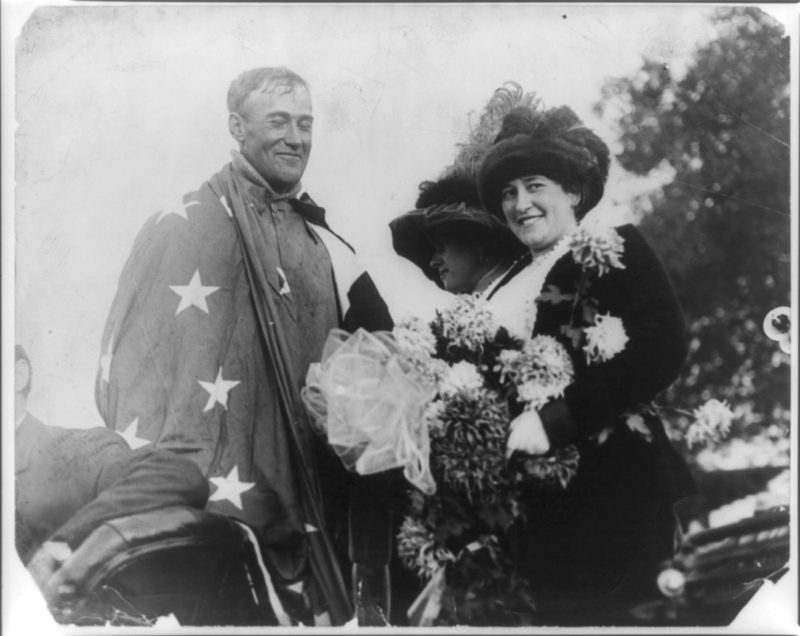 On September 17th, Taylor was to fly with Orville but his place was fatefully taken by Lt. Thomas Selfridge. When the flight ended in disaster, Charlie Taylor was distraught until doctors assured him that Orville would survive his injuries. Orville begged the doctors to let him speak with Taylor, and asked him to examine the drive chains to find the problem. Taylor inspected the wreckage as asked, and determined that the propellers had delaminated in flight. Ironically, Charlie had wanted to learn to fly himself. In 1948, while being interviewed for the TV program ‘We Saw It Happen’, he recounted how the Wright Brothers valued his services so highly they refused to teach him. 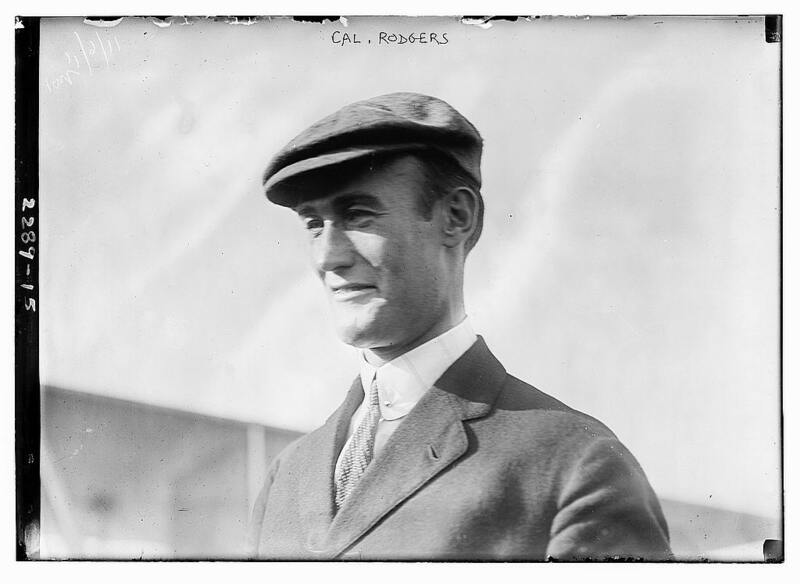 When Calbraith Perry Rodgers was preparing to make the first trans-continental flight across the United States in 1911, he bought a Wright Model B from the Wright Company, in which Charlie was now head of the engine shop. This would become the immortal Vin Fiz Flyer. However Orville knew the machine was never built to survive even a 1,000 miles in the air so he sold Rodgers enough spare parts to build two more airplanes and lent him the expert services of Charlie Taylor. Charlie rode with Rodgers’ wife and mother, several reporters and various other followers in a specially chartered train, the Vin Fiz Special. At each stop (planned or otherwise), Taylor would inspect and repair the Vin Fiz Flyer in a dedicated workshop car that was attached to the train, to make sure it was safe and ready for its next flight. The flight of the Vin Fiz Flyer would become a truly homeric odyssey involving 75 individual stages and 16 crashes. In the end, only the Wright B’s original rudders, engine oil pan and one main-plane strut would flop into the Pacific Ocean on December 10th, 1911, forty-nine days and over 4,000 miles after leaving Brooklyn, NY. Without Charlie Taylor though, it wouldn’t have made it past Middletown, NY, an almost negligible 104 miles from Brooklyn. As they predicted, the Wright Brothers never got their master mechanic back. He did return to Dayton, and found himself work with the Wright-Martin Company there until 1920. But in the meantime Orville had steadily withdrawn from the Wright Company after Wilbur’s death in May 1912 and he sold out entirely in 1915. Taylor, too, had lost his way. Later in the 1920s he moved out to California but, once there, blew his life savings on one of the West Coast’s failed real estate ventures. His wife Heretia died not long after. With time, the aviation world forgot all about Charlie Taylor and his formative contributions. Amazingly, in 1936, when Henry Ford wanted to restore the original Wright Family home and bicycle shop for his heritage village about great Americans at Dearborn, detectives found Taylor working in the North American Aviation factory at Inglewood, Los Angeles. He was still making aircraft parts – for 37 cents an hour. Ford reunited the precious machinist with his former employer, and Orville established a trust that would pay Taylor an $800 annuity for life. Henry Ford employed Taylor until 1941, when he returned to California. There he found a factory job and joined the war effort, putting in 60 hours a week until a heart attack in 1945 left him unable to work any more. He disappeared from aviation’s view for another ten years – until a reporter found him in the charity ward of Los Angeles General Hospital in November 1955. With ongoing health issues, and just his Social Security plus the annuity from Orville to sustain him, Charlie Taylor had wound up friendless, destitute and dying. Recognising his contribution to their now-immense wealth, the aviation industry rallied and raised funds to move him to a private sanitarium – where Charlie Taylor’s motor finally gave out on January 20th, 1956. These days, for those who know, Charles Edward Taylor is an icon of excellence in aviation maintenance. Those who don’t, should know better. Taylor is recognised as the first mechanic of powered flight and has been been inducted into the US National Museum of The Air Force as the very first airplane mechanic. In 2005, Embry-Riddle University renamed its aircraft maintenance training school at Daytona Beach, FL, the ‘Charles Taylor Department of Aviation Maintenance Science’. 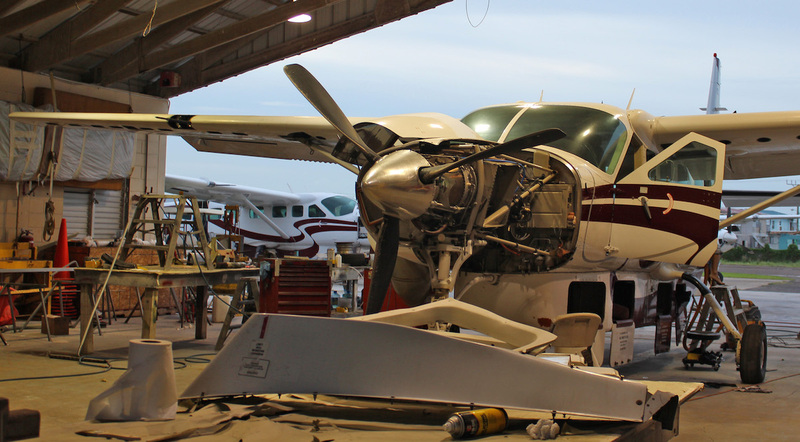 The FAA also awards the Charles Taylor Master Mechanics Award to the cream of US licensed aviation maintainers – those who have achieved over 50 years of impeccable service. A Roll of Honour is displayed in the FAA’s headquarters in Washington, DC. That would be the Orville Wright Building. 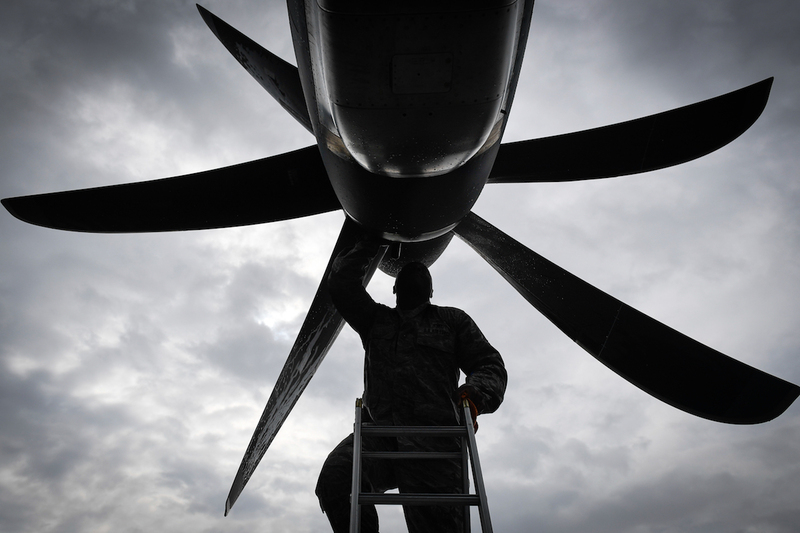 Finally – but only since 2008 – May 24th, Charles Taylor’s birthday, is now recognised as Aviation Maintenance Technician Day in 45 US States. It’s an especially fitting, if rather belated, memorial. But Taylor’s true legacy is every airplane you’ve ever watched soar over your head – at 300 feet or 39,000. It’s the warbirds that continue to thrill and roar and pirouette at airshows. It’s the first and last trip you made as a passenger or a pilot. 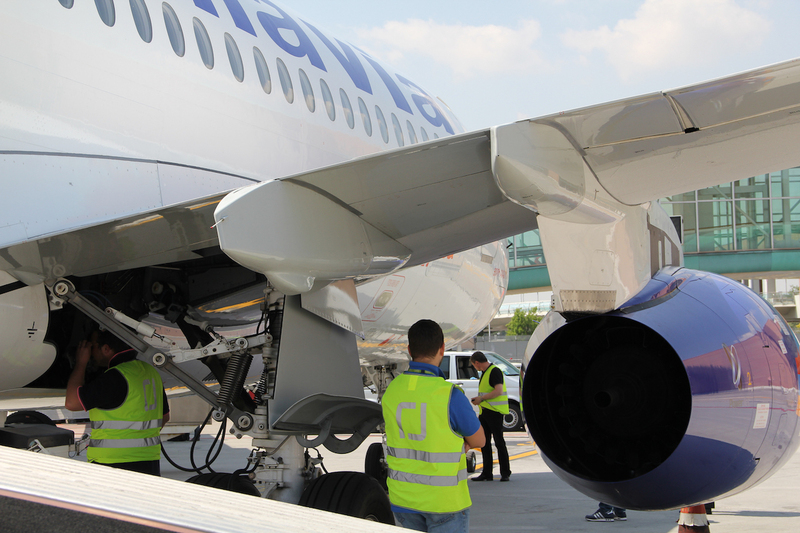 It’s every flight and every engine, every day. It’s ALL Charlie Taylor. So Happy AMT Day, airscape readers. Hug your ground crew. A special thanks to NASA’s ASRS Callback #448 (May 18th, 2017) for making me aware of Charlie Taylor’s immense legacy. If you don’t subscribe to Callback, you should. I have never heard of Charlie Taylor (until I read this! ), which is a shame because he made the first air engine. It’s quit fantastic that so many pivotal people in history get compleletly forgotten! But at least he got remember at the end. Is it April Fool’s Day? That’s the only way I can imagine knowing something about aviation history before you do! I subscribe to Callback as well, so I read the same tribute. But I’d known about Charles Taylor for a long time, primarily because the award the FAA gives out with his name on it every year is grouped in with other general aviation awards, including CFI of the Year, Safety Rep of the Year, and so on. I doubt either he or the Wrights considered it an earth-shaking achievement at the time, but the wide-spread ability to manufacture complex new things in a short time — without the use of computers, outsourcing, or other help — was, as I understand it, fairly common back then. Need a new engine with a better power-to-weight ratio than anything else on the market? Just do it yourself. What an adventure. To be fair, Taylor did outsource some of the components, like the engine case. But if it hadn’t been possible, I’ve no doubt he would have figured out how to do it himself. Maybe it would’ve taken 7 weeks instead of six. He was just that kind of guy. Imagine working at the North American aircraft plant here in Los Angeles in the 1940s and one day you find out that the guy working next to you built the very first aircraft engine. Ever. Oh, and he was the first airport manager ever. The first accident investigator ever. I’d be telling everyone I know, “Hey guess what I did? ?” Taylor never said a peep. I have a friend who just completed a trip in his 1928 TravelAir 4000. He shipped the plane to England and then flew that 80 mph, open cockpit antique across Europe, and then across the Mediterranean and all the way down the east side of Africa. And then back up to Greece. That’s the kind of adventurous spirit you don’t see much anymore. It’s what the Wrights and Taylor did. Just set out to do something huge and never doubted that it could be done. I love that. We’ve said it before but I’ll say it again: Thank goodness for the EAA. I think every homebuilder would know exactly what you’re talking about. Aside from notable exceptions like that, I think we’ve largely lost the spirit to make things ourselves and the spirit to set out on great adventures. I’m not sure which is the greater tragedy, but we owe it to ourselves (and our children) to reverse the trend… even if it’s just making a cake from scratch or going on a road trip. Let’s start from there and work our way up to the entire east coast of Africa (which I’m totally up for, by the way). And, for the record, I knew if anyone here would be across Charlie Taylor it would be you! Take a bow. Yes, we should all be very thankful for the EAA! They’re amazing. What an incredible man and a real hero of aviation. His name deserves to be in lights, and every record book should be embossed with his achievements, sadly, because he wasn’t a pilot, it won’t happen. Guys like him lead the way for others to follow. A true adventurer. So true. We should be speaking Taylor’s name in the same sentence and the same breath as Wilbur and Orville Wright. 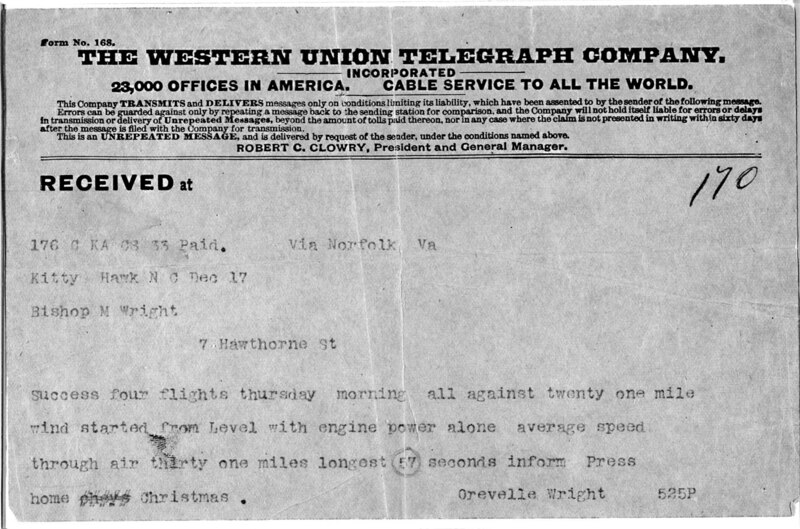 The telegram Orville sent home to his father announcing their success (http://memory.loc.gov/mss/mcc/061/0001.jpg) ends with the words “Inform press”, which no-one remembers – they just remember the Wrights’ secrecy. I can’t help thinking how different our memory might be if he’d thought to put “Inform Charlie” instead. Absolutely. Charlie was a real pioneer without whom the wright brothers would not have achieved their flights so soon, and perhaps even been beaten to by some other up and coming aviator. One goes with the other! Hi there mates, its wonderful piece of writing concerning educationand completely explained, keep it up all the time.